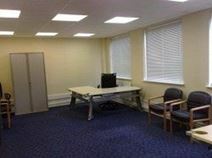 Situated on Uxbridge Trading Estate, these traditional offices provide the ideal solution for smaller businesses and start up enterprises or larger companies looking for project offices, overflow space or a perhaps a new branch. The offices are extremely well appointed so you can start working from day one. Opening in 2019, this centre is set in the heart of Uxbridge and boasts a stunning atrium, floor to ceiling windows - meaning lots of natural light - and a lovely roof terrace. On top of its impressive design, the centre also offers mail handling, call answering, lift access and equipped meeting rooms. Uxbridge underground station, which is served by Piccadilly and Metropolitan lines, is just a minute's walk from the centre. The space is located just off Uxbridge High Street, and is easily accessible via road, as well as via the Underground Station, which provides access to the Piccadilly and Metropolitan lines for easy travel into London. On-site, there are meeting rooms, administrative support, free tea and coffee, and great WiFi access. The centre is close to Heathrow Airport, so for international travel, the location is excellent. This bright contemporary office centre is only 5 miles from Heathrow Airport and offers serviced offices within easy reach of Uxbridge town centre. 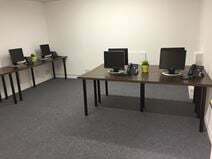 The centre has recently been refurbished to a high standard and offices come fully furnished with high-spec IT and communications, security systems and plentiful parking. The positioning of the building ensures convenient access to the airport along with the London Underground via the Piccadilly and Metropolitan lines and the M40. 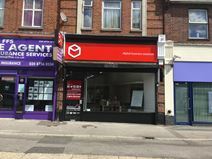 This centre is situated in the centre of Uxbridge Town centre, just moments from excellent transport links. Offering an impressive venue for your business, this centre provides a range of unbranded office solutions to suit your requirements. Set in a fantastic Uxbridge location, tenants will spend their day in a lovely new space that boasts fantastic communal areas filled with breakout space and an onsite cafe. There is also an impressive reception area, meeting rooms and two floors of wonderful space. The location is equally impressive, just a stone's throw from Uxbridge's two retail centres, the tube station and with several bus routes nearby. 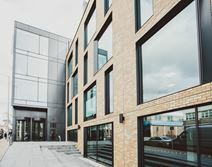 Elegantly designed, flexible office space in the heart of Uxbridge that provides a peaceful working environment with an abundance of natural light. Located just five minutes" from the train station and a short walk to the high street. Occupying a picturesque location in landscaped gardens with views over the Grand Union Canal, these fully serviced offices in Uxbridge are available on flexible terms to suit. The waterside commercial units benefit from air-conditioning throughout, first class technical facilities, onsite car parking and access to luxurious meeting and conference rooms. Set in Stockley Park, this new centre provides first class office space with a great location and a wealth of amenities. The centre boasts impressive interiors, including a magnificent four storey atrium within the reception area. Tenants can also make use of meeting rooms, car parking, recycling facilities and dedicated breakout spaces. Hayes & Harlington station is 30-minutes walk and offers direct access to Central London. Heathrow airport is six minutes by car. 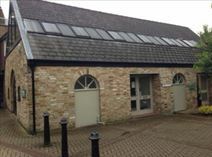 With offices suitable for one to eight people, on either a furnished or unfurnished basis, this building provides an excellent location next to Frays River for small and start-up businesses. As well as being just a 10-minute walk from the town centre, you are also a 15-minute drive from Heathrow Airport. This modern converted bungalow is a five-minute stroll from Uxbridge station next to Fray's River. With three offices downstairs and one upstairs, tenants can rent space by the workstation or by the office. Current tenants include a marketing and advertising agency. The space can be accessed 24-hours a day, great for flexibility and has great amenities within walking distance, include cafes, bars and restaurants. Secure 24-hour access means this centre offers the opportunity for flexible working hours, and the plentiful on-site amenities make the working day as productive and comfortable as possible. Break-out and lounge space, meeting room availability, access to a kitchen and on-site parking are features of this workspace. As well as the option to park on-site, there are good transport links for commuters and visitors alike, with local buses passing regularly, and Hayes & Harlington Mainline railway Station within walking distance, providing travel to London Paddington, London Heathrow and Reading. 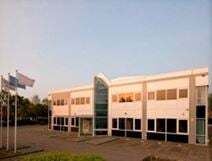 This Uxbridge-based centre boasts over 13,000 square feet of workspace, making it an exciting proposition for anyone looking for office space in this area due to its ability to meet any requirement. Coupled with its fantastic onsite management team, who are on hand to help ease the transition into your new space, the centre also has a spectacular location, with Uxbridge tube station (Piccadilly and Metropolitan lines) just three-minutes walk away.